Supreme Court Chief Justice suspends decision that would make it hard for Petrobras to sell its assets. RIO DE JANEIRO, BRAZIL – Brazil’s oil giant, Petrobras, has announced will resume its divestment program following the decision of Supreme Court Chief Justice, Jose Antonio Dias Toffoli. On Saturday, Toffoli suspended a decision by Supreme Court Judge Marco Aurelio Mello that made it difficult to sell part of Petrobras’ assets. Naval Commander Eduard Leal Ferreira has been named president of the Board of Directors at Petrobras by Brazilian President Jair Bolsonaro, photo by Fernando Frazão/Agência Brasil. “The company will resume the publication of possible opportunities related to new E&P divestment projects,” read the statement released by the company on Monday. “Petrobras reinforces the importance of the Partnerships and Divestments Program to reduce its level of indebtedness and generation of value through active portfolio management, in line with its 2019-2023 Strategic Plan and Business and Management Plan,” concludes the oil giant. According to the company, information on the 254 concessions which Petrobras ‘is in the process of disinvesting in about 70 percent of them’ has been sent to Brazil’s National Agency of Oil, Gas and Biofuels (ANP). On Monday, the Bolsonaro administration announced it had appointed three new members to the Petrobras Board of Directors. 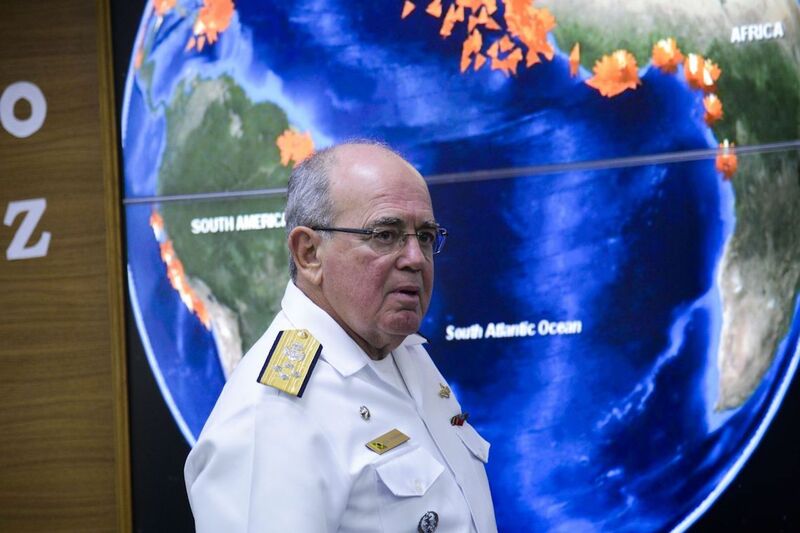 Former naval commander, Eduardo Bacellar Leal Ferreira, was appointed to the presidency of the council along with former National Petroleum Agency (ANP) John Milne Albuquerque Forman and economist João Cox were announced as board members. According to financial daily Valor Economico, John Forman was fined R$338,500 (US$91,540) in 2016 by Brazil’s Security and Exchange Commission (CVM) for insider trading, but the newspaper stated that the sentence did not bar him from sitting on the boards of public companies.